Are you looking at buying a vehicle? Whether it be used or new, you’re looking at spending a decent amount of money with this transaction. Vehicles aren’t cheap. Unfortunately, for many people, having a form of transportation is a necessity they cannot live without. Have you tried getting a car loan before? It’s not always the easiest. Especially if you have poor credit or other debt already, the chances slowly lower. Even if you have the money to pay for your monthly payments, you still have other loops you have to jump through, making the process quite difficult for some. 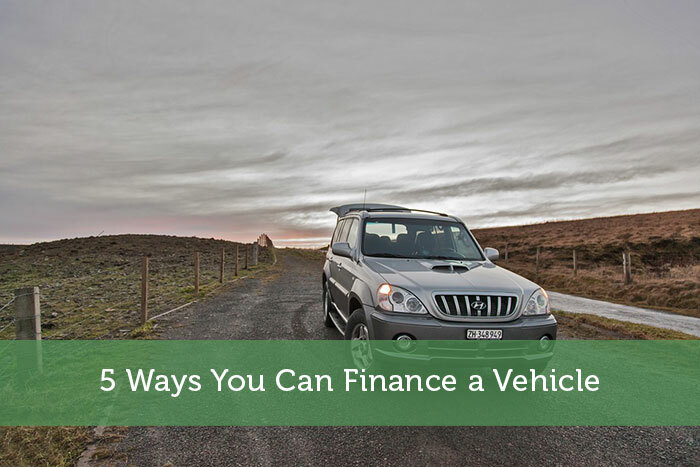 Looking at different ways to finance that new vehicle you’ve been eyeing up? Here are X ways that can help you out. Just make sure your shiny new car doesn’t throw you deep into debt. One of the best ways, and the cheapest ways to buy a vehicle is to use cash. Why? Think of the amount of interest that gets tacked onto your loan every month. It can be in the thousands of dollars. That’s additional money you’re paying for your vehicle, on top of the original purchase price. If you have the cash to buy out a vehicle, your best bet is to do so. It saves you from paying interest every month. Even if you don’t have enough to cover the entire cost, putting a chunk down as you would with a house down payment will help lower your loan amount. Make sure you don’t use your entire savings and have nothing left over. Personal loans are one of the next best methods besides paying the full amount in cash. You can get a personal loan from a bank or another financial provider, but only if you have a good credit score. Getting a personal loan is easy for those with good credit. A few things to remember with a personal loan. Be careful as to what you use as collateral. If you default on your loan, whatever you attach that loan to is now at risk for repossession. An option worth considering for financing your vehicle is by hire purchasing the car. Hire purchasing is almost like renting to own the vehicle. You must pay a deposit, typically around 10 percent of the purchase price. You then have fixed monthly payments that you pay over an agreed upon time. This type of financing option is done directly through the dealership, so it’s usually a convenient option for many. It also helps to make the competition work in your favour if you’re looking at a new car. Another way to finance a vehicle is to use your credit card. Although this isn’t an option that many people promote, it is still available to use. If you don’t have the money to pay for the vehicle at the moment, but know that you will in the near future, this is an option to consider. Pay attention to any additional fees the dealership may charge for using a credit card though. If you require a quick approval loan and for a short amount of time, then a car title loan may be an option. These loans use your vehicle as collateral. You would give the title of the car to the lender until you’ve paid off the loan completely. Use this loan option as you would with your credit card, only if you know you’ll have the money to pay it in the near future. Defaulting on this loan means you’ll lose the car you’ve been working to pay off. Take a look at a directory of online title lenders to see what works for you.